The IU Bicentennial is administered by the Office of the Bicentennial. If you have questions about the Bicentennial, please call, email, or send us a letter. Please send any communications and marketing questions to iu200@iu.edu. 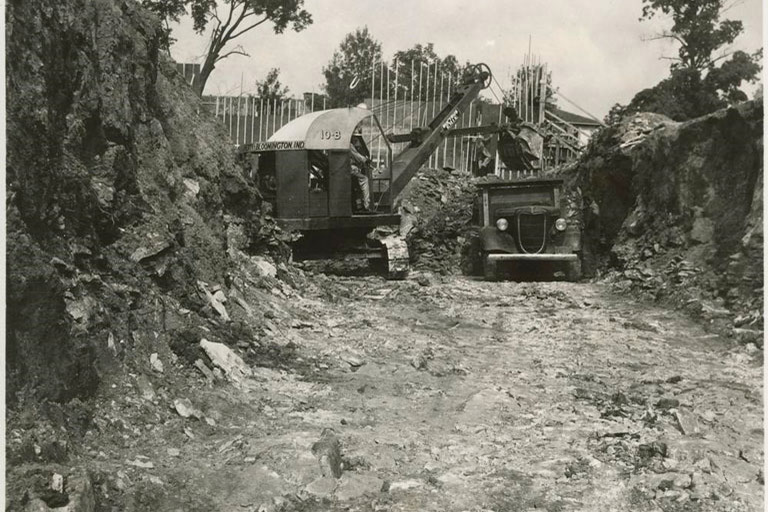 In 1939, the IU Auditorium was in the early stages of construction. Built as a Federal Works Agency Project in an Art Deco style and opened in 1941, the Auditorium is home to Thomas Hart Benton’s “Century of Progress” murals, the priceless Dailey Family Memorial Collection of Hoosier Art, two Robert Laurent sculptures, and the Indiana University Auditorium Organ. The Seiberling Kingston Mansion was purchased by IU Kokomo in 1947. 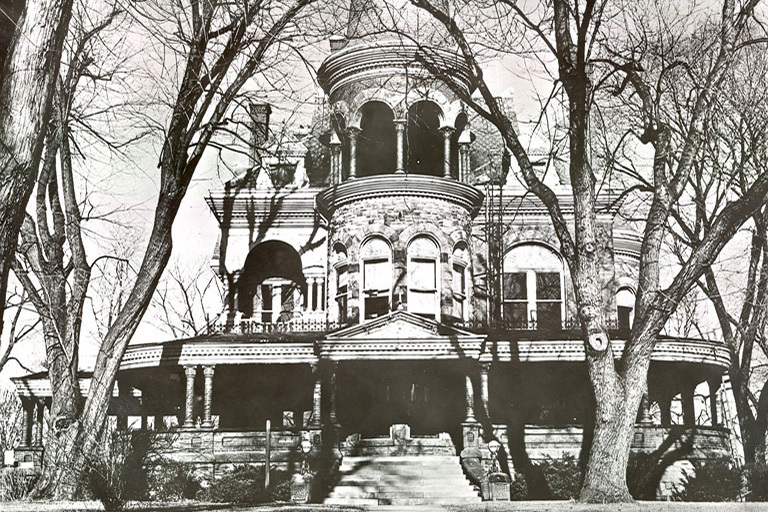 Built in 1889, the house is a mixture of Queen Anne and Romanesque Revival styles. Classes were taught there until 1964 when IU Kokomo moved to its current location. It is now the home of the Howard County Museum and is listed on the National Register of Historic Places.